My ex was a very picky eater, so convincing him to try something like quinoa just wasn’t going to happen. And if I suggested something like a broccoli and chicken casserole? Forget it. So, when I suggested trying this next recipe to Kyle, I wasn’t sure how it was going to go over. Sure, he’s been a lot more open to trying things and hasn’t said no to anything I’ve suggested. But this, I thought, might be pushing it because it was a chicken and quinoa casserole. Personally, I love quinoa but hadn’t cooked with it too much in the past few years because I was the only one eating it. 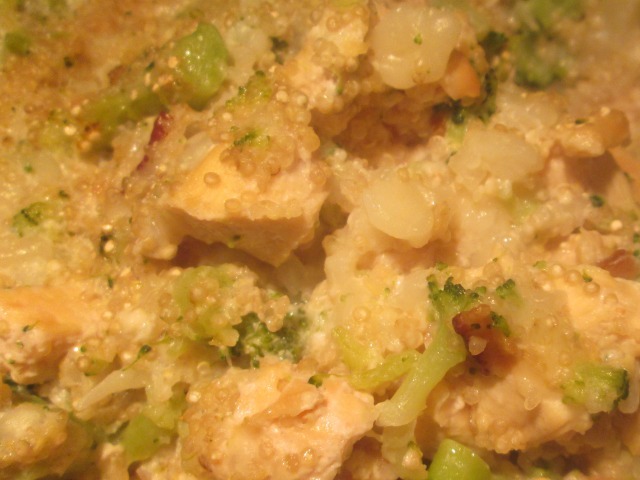 Then, I came across a delicious casserole on The Classy Chapter and thought, why not! 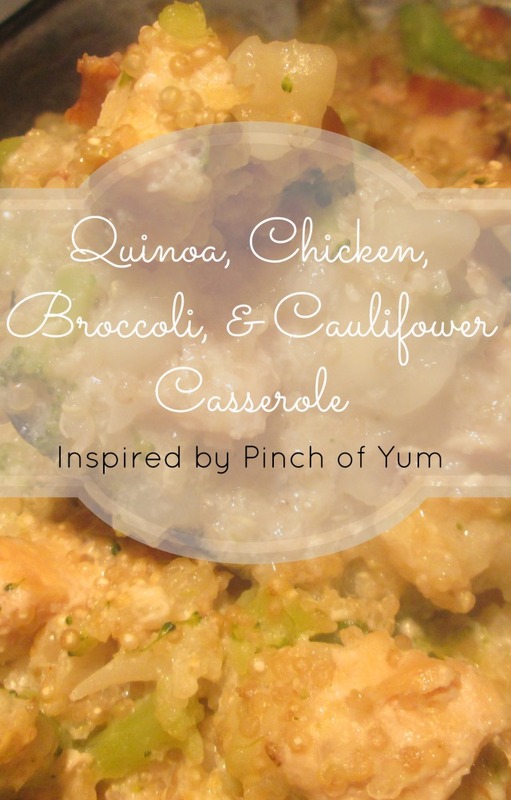 I followed the original recipe link back to Pinch of Yum and I was sold. First, let me say, I love how the textures of this came together. No one ingredient was at the forefront and there was guaranteed deliciousness with every bite. This was also Kyle’s first time having quinoa so I figured having a chicken and quinoa based dish would be one of the easiest ways to introduce it. This was also Squeaker’s first time having quinoa and she did really well with this dish too. The only complaint that we had about the casserole was the price of quinoa, but it was a worthwhile expense. Also, you can use flour instead of corn starch. I used corn starch because as I was getting my ingredients together- I realized we were out of flour. This looks like a delicious recipe! I am going to save it and give it a try when I make my next menu up! Thanks for the recipe! This looks like a great recipe. Your dish looks good anyway.